Oona and Daniel spent lazy summers playing near the river close to the small family farm. Secrets whispered in the night led to changes in their lives as they became a part of the mysterious, secret passage to freedom. Old Joe and Papa lead the family to safety as they journey through danger and are chased by the most feared patroller around. History tells of the Underground Railroad that helped runaway slaves find their way north. Follow the Johnson family on their journey to a new kind of freedom in a new and different land. About Mary E. Dyer (Author) : Mary E. Dyer is a published author of children's books. 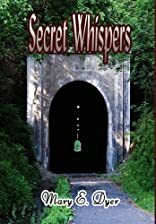 A published credit of Mary E. Dyer is Secret Whispers.